Louis is the owner of the bicycle shop who have sent us a frame with BB shell spinning freely inside the frame. 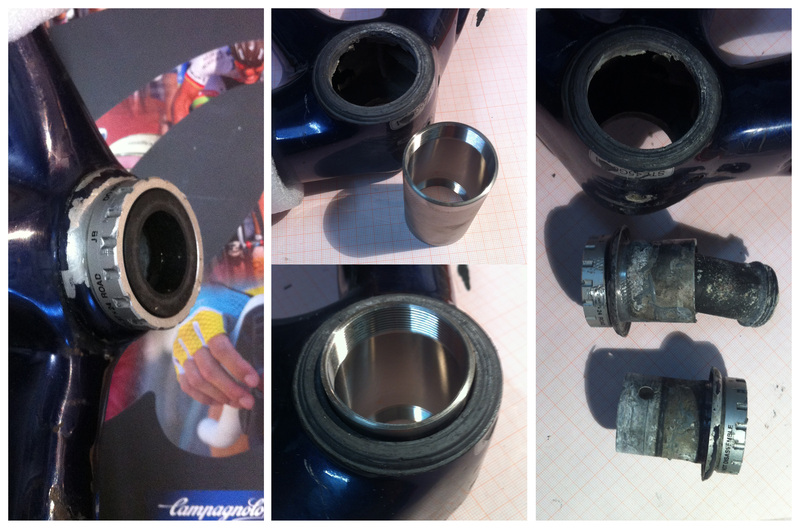 We’ve realised that BB cups were seized and after dismounting BB shell were considering of replacing with new, titanium bottom bracket shell. However, cups were taken out later and original shell was bonded and realigned back into its original place.